Top students from Brock were celebrated at the College’s STEM Awards ceremony recently. 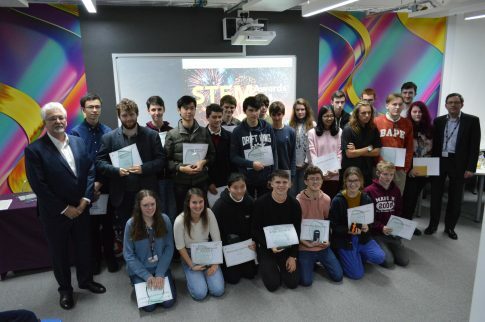 The event, which was held at the College’s STEM Centre was sponsored by local industry partners Fawley-based GEO Specialty Chemicals and Lymington-based Bridgeworks. Students were honoured for their dedication, commitment and hard work across the full range of STEM subjects. Gold and silver awards were given out to twenty-seven high achievers as well as cash prizes. Graham Dunkley from GEO and David Trossell from Bridgeworks presented the certificates, along with £100 for gold and £50 for silver. Also in attendance were special guests Mr and Mrs Greenwood, a local couple who have set up the ‘Greenwood Bursary’ which will be available every year. The bursary will pay for a Brockenhurst College student who faces financial hardship to study a STEM-related university degree and will cover their entire tuition fees for three years of their course. 17-year-old Tessa Crosbie from the Isle of Wight was awarded the highly anticipated overall STEM award as well as gold for Biology. Tessa was recognised for her hard work in college as well as during a two-month placement with charity Raleigh International where she worked on a sustainable development project in Gorhka, Nepal, an area vulnerable to drought and water-borne illness. After receiving her awards, Tessa said: “I’m truly grateful for the support and opportunities that come with studying at Brock. 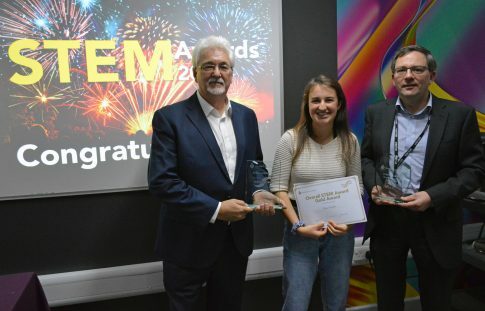 “We were absolutely delighted to announce the Greenwood Bursary at this year’s STEM awards and are extremely grateful for the Greenwood’s generosity” she added. You can see the full list of awards and award winners below.